On this website, you will find every issue of The Crescent magazine. First published in 1900, The Crescent has evolved over time, but has always been a key piece of communication for members everywhere. 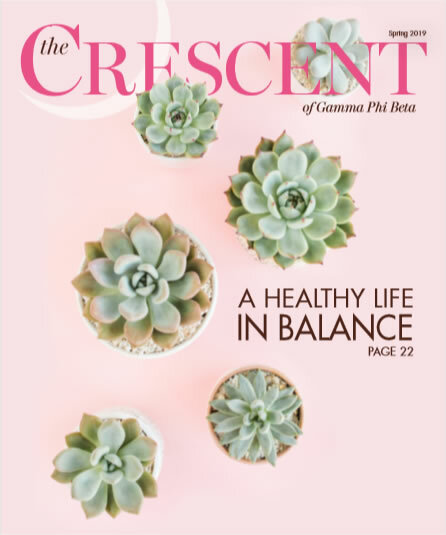 From articles about Sorority life and topics that matter to our members, to collegiate and alumnae chapter updates, the magazine has important information from every time period. You may use the search bar to the right to look up specific words and phrases, and each PDF version of the magazine is searchable. Please note, our search feature pulls every issue that contains the word you search, and may not contain the exact context you are looking for. Enjoy utilizing this resource, and for more Gamma Phi Beta history, visit GammaPhiBetaHistory.org.